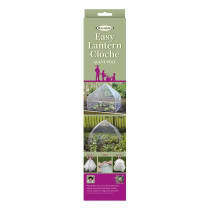 The award-winning Easy Lantern Cloche is a one-piece, easy- to- use garden cloche for instant plant protection. 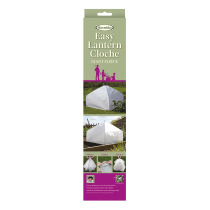 The unique patented folding mechanism means that it can be neatly folded away and hung up when not in use, but then just as easily be sprung open to protect your plants. 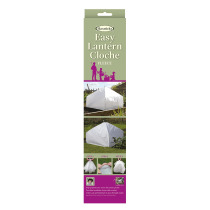 For year round protection there are three different types of Easy Lantern Cloche available; high-Grade Fleece for protection from frosts and harsh weather, UV stabilized polyethylene to provide warmth and weather protection, and Micromesh™ to give protection from birds and insects whilst also acting as a wind barrier. 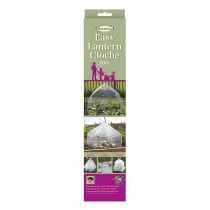 Available in two sizes, standard and giant, to be used directly over a vegetable plot or individual plants that need protection anywhere in the garden. 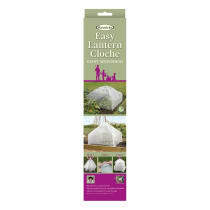 The standard size fits over the Haxnicks 'My First Vegetable Garden' and the large size fits over the Haxnicks 'Instant Raised Bed'. 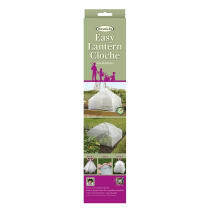 Whether you grow in rounds, rows or raised beds an Easy Lantern Cloche will fit the plot you've got.